On Saturday, September 1st we welcome ringers from the Cambridge University Guild of Change Ringers to ring a peel in our Tower. The Cambridge University Guild of Change Ringers was formed in 1879 to practise the art of change ringing. Today they are an active student society who organise many ringing and social events throughout the year. 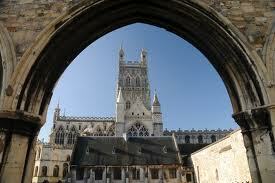 The bells claimed to ‘be the best ring in Christendom’ are regularly rung by visiting Bell Ringers. The Home Team practise on Monday between 7pm and 9pm. You do not need to book , just come along, unless you want to stay for lunch. Singing Week – Day 1.